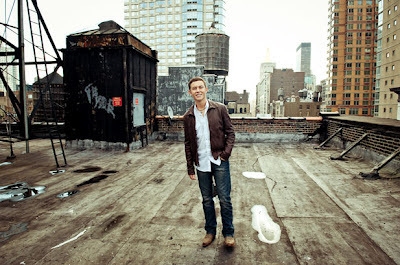 Lori & George talk with Scotty McCreery about his coming shows and much more!! Favorite country song: Eric Church's "Springsteen." He told me, "I listen to that a ton." Rascal Flatts' "Changed" came in a close second. Favorite pop song: Carly Rae Jepsen's "Call Me Maybe." He admitted, "That one's all the rage right now, and I catch myself singing it all the time." Favorite artists to cover: Elvis Presley, Travis Tritt and George Strait. "All the guys who influenced me," he said. Favorite junk foods: Cookie dough, cookie dough ice cream and, most importantly, something called Cookie Monster ice cream. "There's this place in my hometown called Pelican's, and it's mainly a snowball place, and I love getting snowballs, but they have this ice cream called Cookie Monster. It's blue vanilla ice cream with Oreos, snicker doodles, chocolate chip cookies and M&M cookies. And it's incredible," he raved. Favorite not-so-junky foods: Broccoli, apples, bananas, strawberries. And ants on a log. "I was just introduced last week to this thing called ants on a log. It's a celery stick with peanut butter in there and raisins on top. It's very good," he said. (Almost) favorite chore when he's back home: "I'm the trash guy," he said, saying he occasionally does slack off. Really? What was the biggest advantage to not being the winner? Well, less pressure. I think that’s huge for me because, to be honest, that’s something I have to work on. I don’t do really well under pressure. I need chill vibe and that’s what it was. We took our time and we found the right label and the right music. As soon as you win, I feel you have to come out with an album right away, but I think it was actually great that Scotty won because he was ready to do it and he did it like a champ. He’s doing awesome. And he seems, at 18, incredibly able to handle the pressure that comes with this. He’s very grounded. You know what, he’s a really humble dude. He’s kind of shy at first. We kind of really didn’t talk to him. He was like, “I remember when no one would really talk to me in the top 10.” But during the tour, we got really close. We’d go see movies and stuff, go get burgers. It was good. He’s a chill dude. 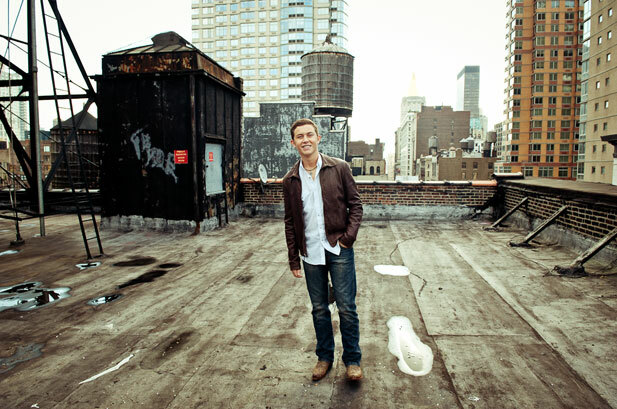 After getting his high school sheepskin and a new CMT Music Award (or USA Breakthrough Video of the Year), Scotty McCreery is happy to be able to turn music into his sole and full-time pursuit. "Oh, of course -- this what I want to do for the rest of my life," the 2011 "American Idol" champ, who helped pitch his Clayton, N.C., baseball team into the playoffs this season, told Billboard.com. "You've got to put in the work early to be able to do that for the next few years down the road. It's pretty intense. It's getting to be...I don't want to say a job, but it's getting to be like that. I'm taking it seriously. But I love it. I never wanted to sit behind a desk; that wasn't me. I love entertaining. If I wasn't on ('Idol') I would've tried to head to Nashville and make it the traditional way." McCreery has already made some waves in the country world. His debut album, "Clear As Day," is certified platinum and has spawned three Top 20 country hits -- including the current Top 5 smash "Water Tower Town." He's back out on the road now with Brad Paisley, but he's also ready to get to work on his second album. "We've gotten songs in... and starting to get in the mode of writing and stuff," McCreery says. "We've already got a few winners picked out I'm really excited about cutting. It's going to be fun. I like the process of making an album. The first one I did was a little rushed; I didn't get to enjoy it or get creative with it. This one we're going to take our time and really make a good album." McCreery predicts that he'll probably start recording during the summer, in-between concert dates, but he doesn't expect to release anything until 2013. "I'm definitely seeing for this second album that people are really excited when they're sending me songs," McCreery says. "I'm enjoying the songs I've been hearing. I just want people to really see me this time. I don't want to get caught up in the sappy love songs; those are important, but I want them to get a feel for who I am as an artist and sing about real things in life. Hopefully we'll get that with the songs and have some fun with it as well." While he was finishing up at high school McCreery was also paying attention to this year's "Idol" competition -- possibly, he says, a little too much. "It was like deja vu every week, like watching it from a totally new perspective," he says. "It was cool for me. I was pointing out things all the time, like seeing people behind the stage wearing all black who were my friends back in the day, or when the contestants were getting nervous. The people watching with me were trying to tell me to shut up, but I couldn't." And McCreery was happy to be part of "Idol's" 11th season, not only as reigning champ but as by recording a version of Tim McGraw's "Please Remember Me" that was used as the walk-off song for eliminated contestants. "It was cool getting to be a part of the show every week and still being connected to them and still get my name out there," he says. "It was cool for me; (the eliminated 'Idols') probably weren't happy to hear me singing, though. I did send (McGraw) a message when we were first cutting it, and he said 'Cool, man. Excited to hear it.' He was a great guy when I got to meet him for the finale last year."